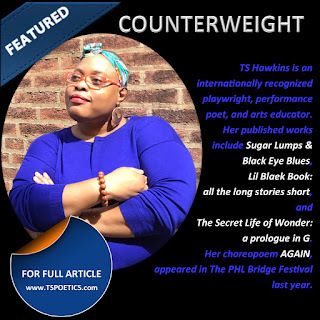 TS HAWKINS: News: TS Hawkins Featured on Counterweight! 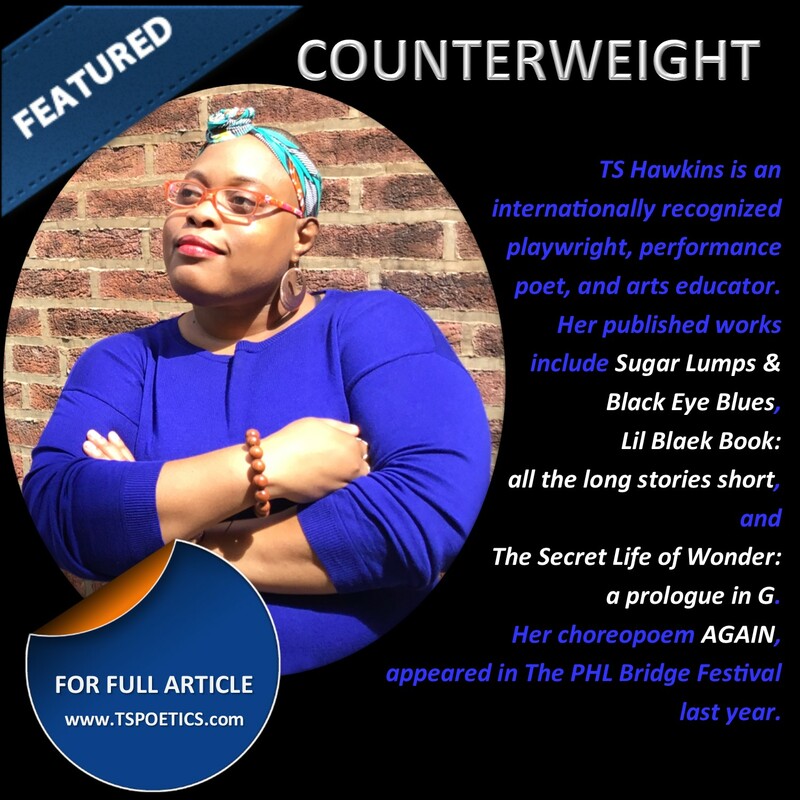 News: TS Hawkins Featured on Counterweight! TS Hawkins is an internationally recognized playwright, performance poet, and arts educator. Her published works include Sugar Lumps and Black Eye Blues, Lil Blaek Book: all the long stories short and The Secret Life of Wonder: a prologue in G. Her choreopoem AGAIN, appeared in the PHL Bridge Festival last year. Counterweight asked her some questions about her work. CW: Theater is tough, and you’re a busy person with lots of modes and talents (poetry, education, justice work) Why do you keep doing it? TS: I do the work because it needs to be done; no questions or doubts about it. The voices of those that are continually placed into the margins due to various systems of oppression need to be thrust center-stage; telling their own stories without the glaze of bastardized Euro-centric paralipsis. Click HERE to read more!